Tubeless rims are more commonly solid alloy wheels with a lip or ridge (left) to help locate and seal the tyre bead securely on the rim. 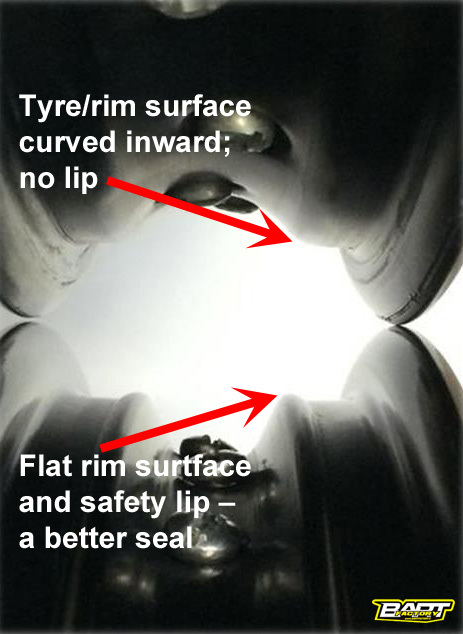 This lip is also considered a safety feature which stops the tyre coming off the rim should it deflate on the move. In my experience the lip works. You will feel the softened tubeless tyre long before it comes off the rim. But this lip also makes removing and mounting the tyre difficult by the roadside. It varies from bike to bike and tyre to tyre, but usually, with tubeless you only need to remove a tyre to replace it, not to fix endless punctures. 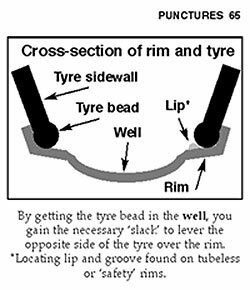 And unlike punctures, fitting a new tyre is usually done at a time of your choosing and in a tyre shop which has the know-how and tools, including a powerful compressor and lube to force the new tyre over the lips and into the rim’s groove with a nice ‘pop’. Oddly, for years and years bikes running tubes also have this safety lip. Old Yamaha XTs had it on the rear wheel. Out of interest, this disproves another tubeless urban myth: you can only stick a tube in a TL rim to ‘get you home’ because it will eventually rub on the lip and explode with terrible consequences. Well clearly not on a stock tubed ’86 Tenere with a lipped DID rim (above). 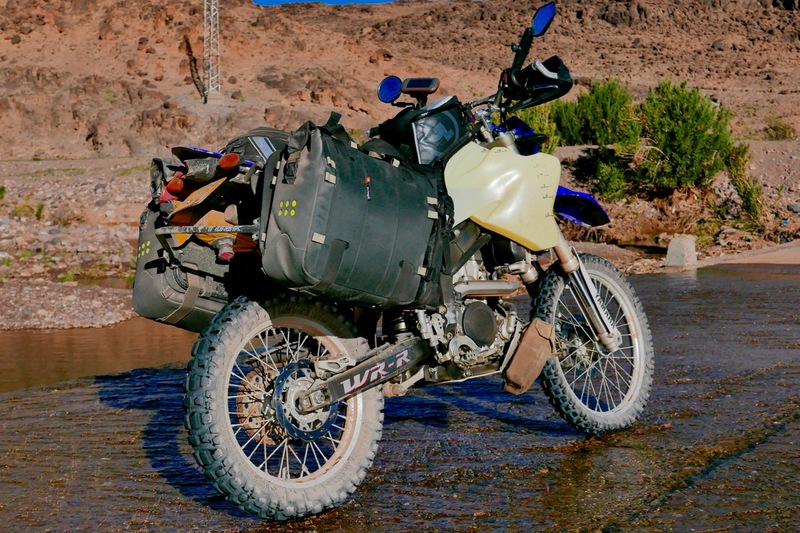 I know because I remember putting that bike on a crate with the rear tyre removed, sticking it in gear and ‘hand-lathing’ off that safety lip with a chisel so that I’d not get stuck in the desert trying to break the bead to fix a puncture. And as importantly remounting it properly with – back then – just a bicycle pump. All this faffing is why we like tubeless. But to convert spoked tube rims to tubeless, this lip is actually a good thing and my 2008 Tenere (above) also had them on the back wheel. The front rim was normal which is a risk when converting to tubeless. But can it be any worse than a tubed tyre puncturing? Tubed tyres deflate faster and therefore more dangerously than tubeless tyres, so even without the safety lips or humps on the front, with tubeless you’re already ahead. But, as I found, you can get slow leakage along the seal. Pictured left: the top rim has no sealing lip; the lower rim does. Note also the angle of the tyre bead–rim interface surface; the lower rim with the lip is flat which helps make a better seal. The upper lipless rim slopes in making it easier to change by hand, but it won’t holed or seal a tubeless tyre half as well. 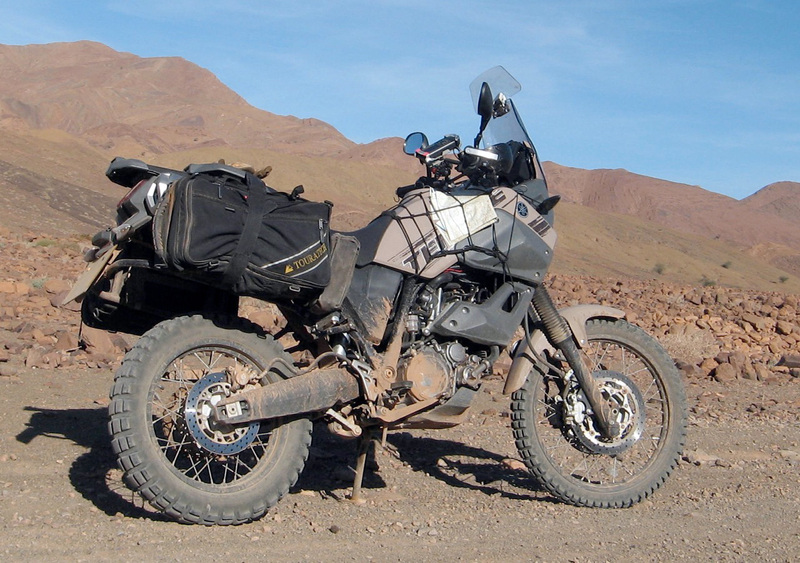 I think my 2008 Tenere front-wheel sealing problems where because the rear wheel was like the lower rim – good for tubeless. The 21-inch front was like the upper rim; less good seal. This is quite common on 21s and I have spent hours online trying to track down a 21-inch alloy rim with the safely lips suited to running tubeless. It turns outTaiwan-based Giant – the biggest bicycle and motorcycle rim manufacture in the world – makes such a rim. In the UK CWC can get for £125 (2.15kg). 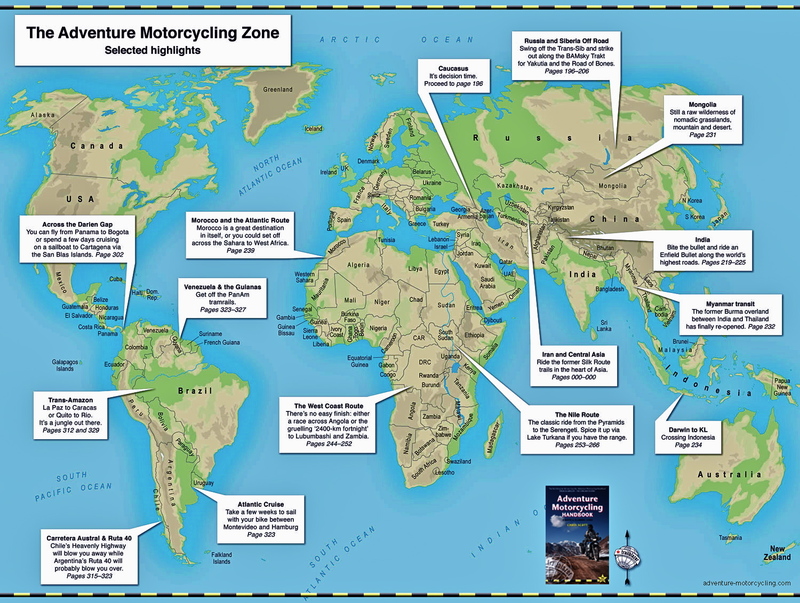 This interesting and regularly updated page by R. Fleischer gets right down on motorcycle rim profiles. 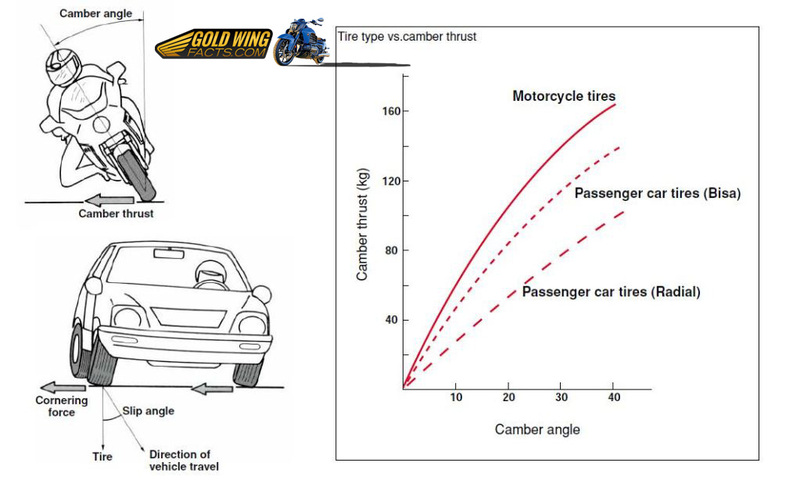 So does this GoldWing page in comparison to car tyres and the clearly different forces involved. It’s something to consider when blithely converting rims designed for tubes tyres to run tubeless. Inspect your rim profile closely. In 2017 when I considered sticking Outex tape (see below) on my WR250R (below) to seal the rims, I saw both stock rims lacked that lip, so I changed my mind. Very interesting article Chris. My experience was limited to a 640A to which I had both the standard rims sealed. The rear worked fine, but the front often got sand in between the tyre/rim – followed by slow deflation. But worse than that, I have had instant flats where the seal failed completely! 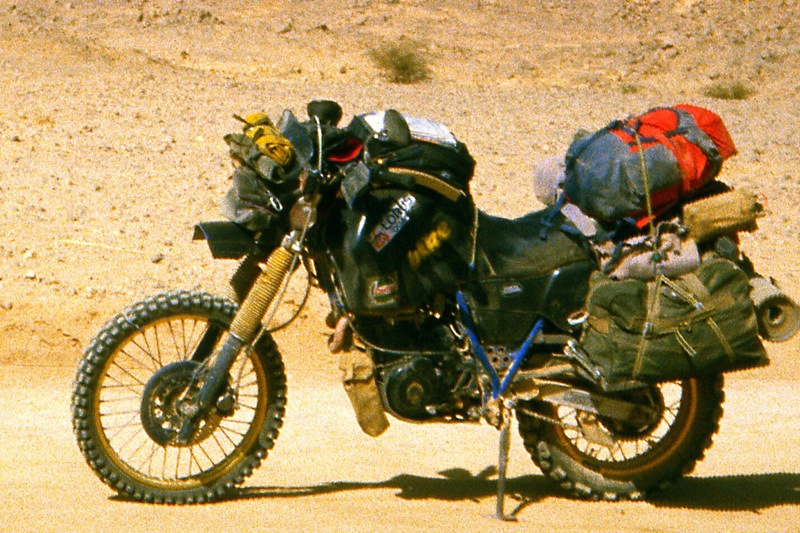 The problem was solved by using a tubeless-type tyre (eg TKC 80) as opposed to the offroad tyres (eg Mitas). Since the 640, I now limit rim sealing to the rear only – as dealing with front punctures is relatively easy; but the best advice is to watch carefully where you place that front wheel whilst offroad! Thanks Jonathan. I think TL seal gets limited when pressures get very low. Don’t know how low you got. 21s have long been dodgy but I’ve just done 1000 miles on a Tublss and it’s holding up fine according to the TPMS. But because the tyres are knobbly (Mich Anakee Wild – like TKC) and it’s mostly rocky mtn tracks, and occasional slimy clay and mud, I can afford to leave them at road pressures. In a few days I’ll be in the desert sands, but even then I won’t go much below 18 (1.2) all round. I am trying to track down the safety lipped 21-er Giant rim. Still needs sealing, though.